Last Sunday Bennelong Northside Orienteers held an event at Lake Parramatta, a venue we have been using since 1979. Only a coupe of weeks into Spring it was already Summer for a day, with temperatures up to 30 degrees Celcius in the middle of the day. 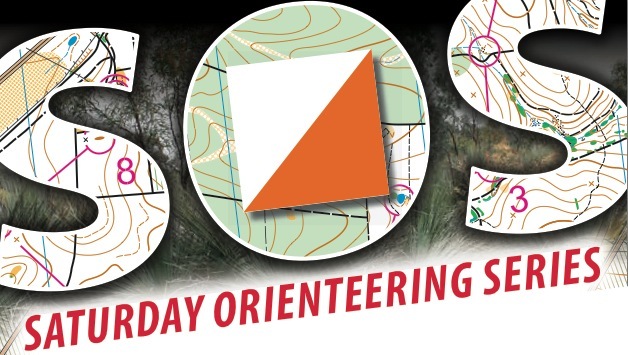 A lot of keen orienteers were up early to make sure they were at the start early in order to beat the heat. And to think, only a couple of weeks ago we were worried it would snow at State League in Rydal. It was a reminder that all too soon we'd be hitting the pavement at 35+ deg. C for the Sydney Summer Series! Only a week back from visiting their sister living in China, course setter and organisers Marina and Fedor managed to pull an excellent event together and received some positive feedback on the placement of the controls. Four courses were on offer: blue, green and two orange courses. The most difficult and lengthy course, Orange Long had participants going off-road in a few key locations. My favourite was a brave dive into some thickish bush and climbing up a rock the find the control perched out of view up the top. There were also several water features, with controls on the lakeside and on Hunts Creek. In general the surface was not loose but had a large amount of rock and stone and it took a lot of concentration to plan each footstep when running down the tracks; Enough of a distraction to miss that sneaky side track! Or was that just me? The day was also the 8th and final event of the Junior League series (details here). Some of the juniors got pretty outstanding times putting some more experienced orienteers to shame. There was a small prize-giving ceremony and a round of applause for these young stars who will no doubt be representing our state and country in the years to come! Approximately 90 people turned out for the event, which is a pretty good crowd given the plethora of events we have had competing for attendance over the winter season this year. Your can find the full results here. Summer Series is now just two weeks away, with the first event at Balls Head on October 5. And don't forget the Oceania Carnival from October 1 to October 9!